The building at 275 Conover St., built in the 1850s, was once a warehouse. A recent Brick Underground post asked New Yorkers, “Would you rather live near a Fairway or a Trader Joe’s?" Fairway, the homegrown grocery chain, scored more votes for its produce and deep selection. But what if you could live not near but right on top of Fairway? Fairway does of course have locations on the first floors of residential buildings, including 240 East 86th St. and 766 Sixth Ave. in Manhattan, but one location is special: the store at 275 Conover St. in Red Hook, Brooklyn, in an 1850s-era warehouse that was renovated in 2006 to make 23 loft apartments upstairs. 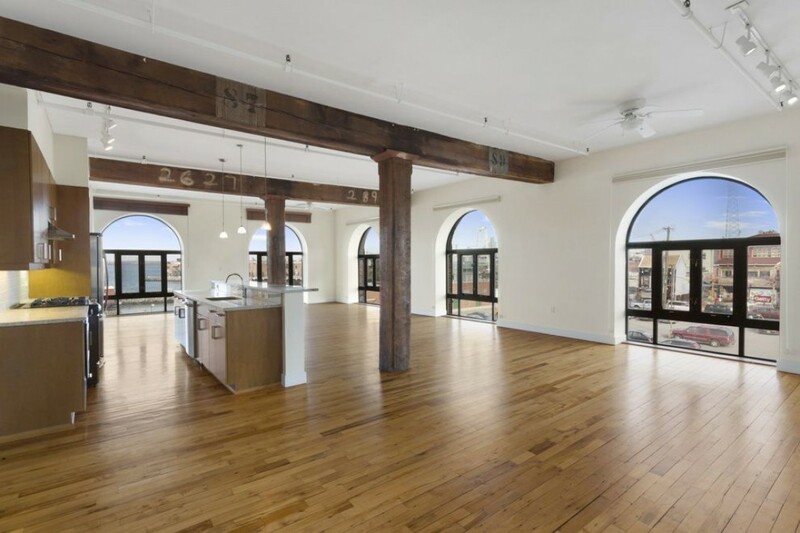 These spacious apartments have original wood beams and views of the Statue of Liberty. They don't typically stay on the market for long, so act now if apartment #5M, a two-bedroom, two-bath, 3,000-square-foot loft, is on your shopping list. It is listed for a steep $7,000 a month, nearly two and half times the median rent of $2,825 for a two bedroom in the neighborhood. The apartment is available on May 15th. 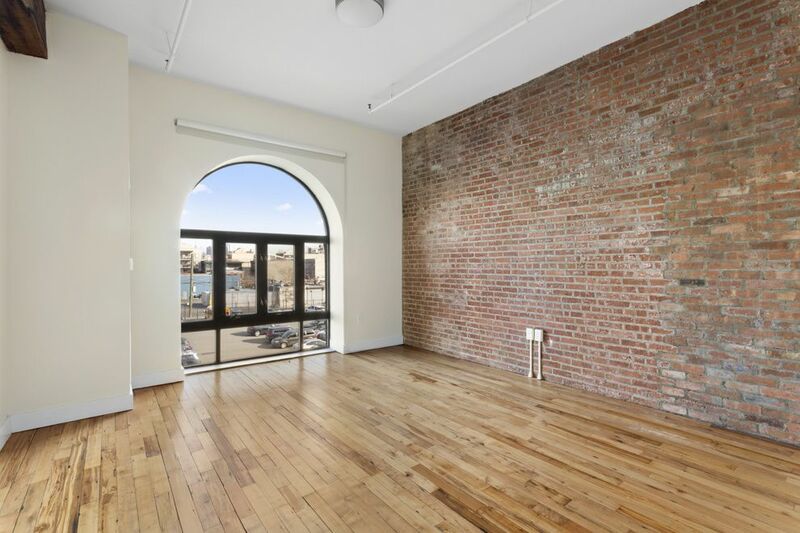 A smaller two-bedroom apartment, #5H, spent 10 days on the market earlier this month. 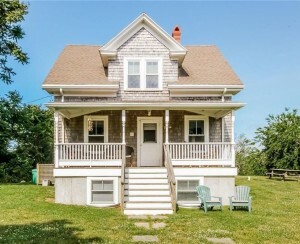 It was asking $5,500 a month. 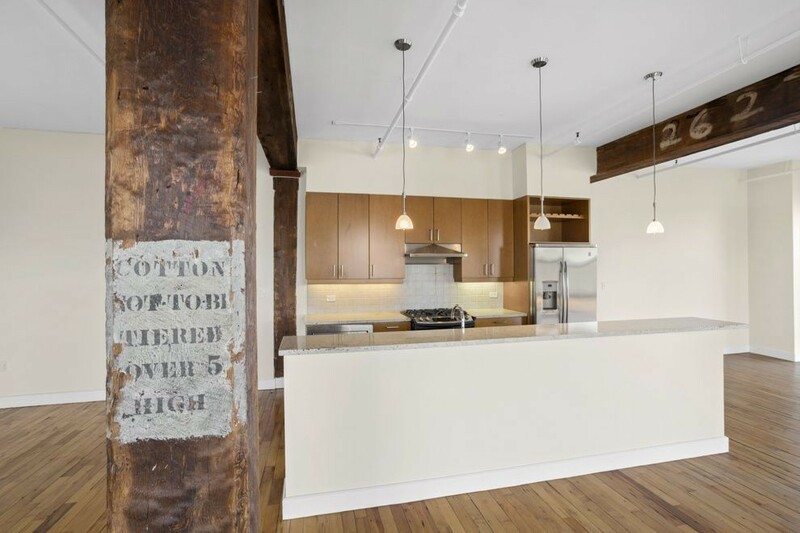 The kitchen combines modern appliances with original wood beams and refinished oak floors. 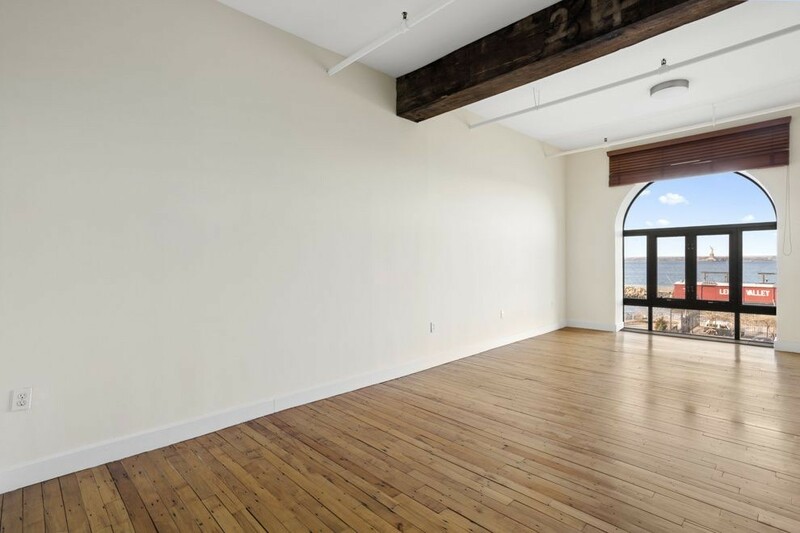 Large windows face north and west with views of the harbor and Red Hook, and the ceilings are 13 feet high. The second bedroom is big, with a nice-sized closet. There is a washer/dryer in the apartment. 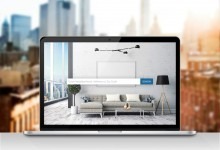 The building has part-time doorman, a private gym, and a landscaped roof. 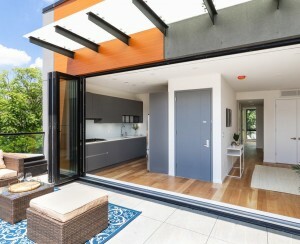 There is an inner courtyard on the third floor as well as an outdoor garden. 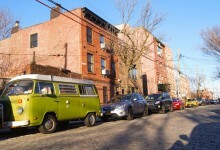 A parking space and heat and air conditioning are included in the rent, and pets are allowed on a case-by-case basis. Nearby places to eat and drink include the Red Hook Winery, Fort Defiance, The Good Fork, Brooklyn Crab, Baked, Hometown BBQ, Botanica, and Steve's Key Lime Pie. It's about a 10-block walk to the East River Ferry dock, where you can catch a boat to DUMBO and Wall Street. 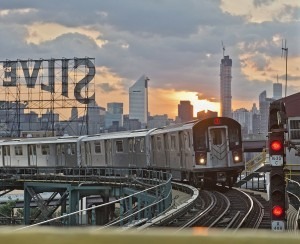 The B61 stops nearby and will take you to the F, G, and R about 10-15 minutes away in Gowanus, or Downtown Brooklyn, also about 15 minutes away. 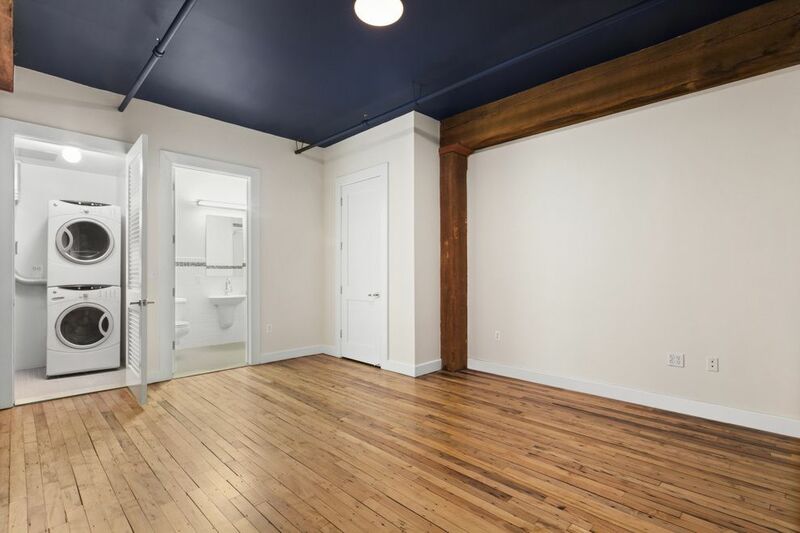 It's a 20-minute walk to the F and G at Smith-Ninth streets.